Summer Palace at Regent Hotel Singapore is one of the Cantonese restaurants that has been in my bucket list for a while. The restaurant is helmed by Executive Chinese Chef Liu Ching Hai who has over 20 years experience in fine Cantonese cuisine. Being new to the restaurant, we opted for the six-course dinner tasting menu ($76 minimum 2 pax) so as to try a bit of everything. Even so we actually took a while to decide on the order as there was 4 dinner tasting menus to choose from. Well a good problem isn't it? 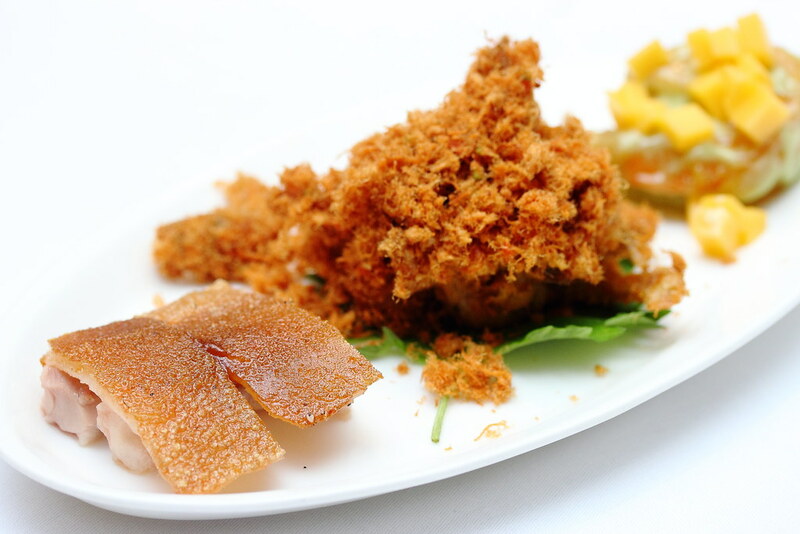 The Six-course Dinner Menu ($76 minimum 2 pax) started with a Trio of Appetiser that is changed daily. On the plate, there were suckling pig, softshell crab with chicken floss and wasabi prawn with mango. A delightful trio to kick start the night. 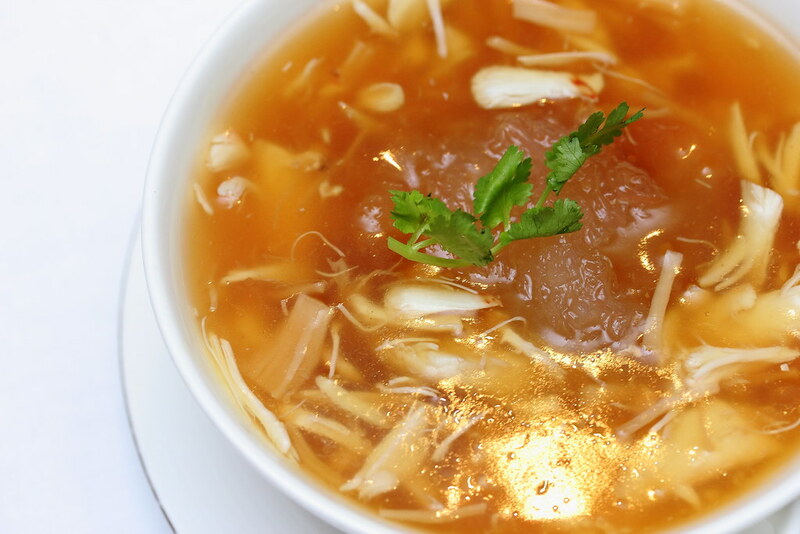 Following the appetiser, we were served a bowl of hearty and comforting Braised Bird's Nest with Conpoy and Crab Meat. The highlight for me was not the bird's nest but the chunky fresh crab meat that elevated the whole luscious enjoyment. 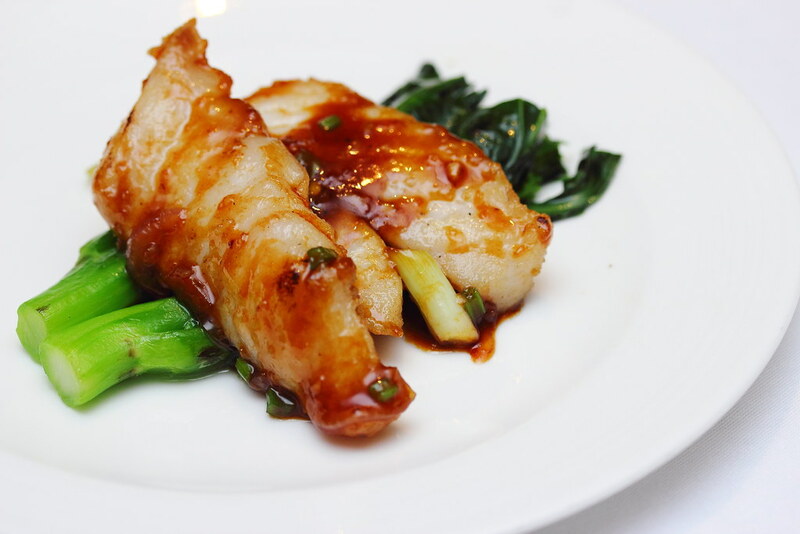 The next dish we had was from the sea, Pan Fried Garoupa Fillet and Kai Lan in Superior Soya Sauce. I enjoyed how the sauce interacted with the fish however the texture of the garoupa fillet was slightly on the dry side. 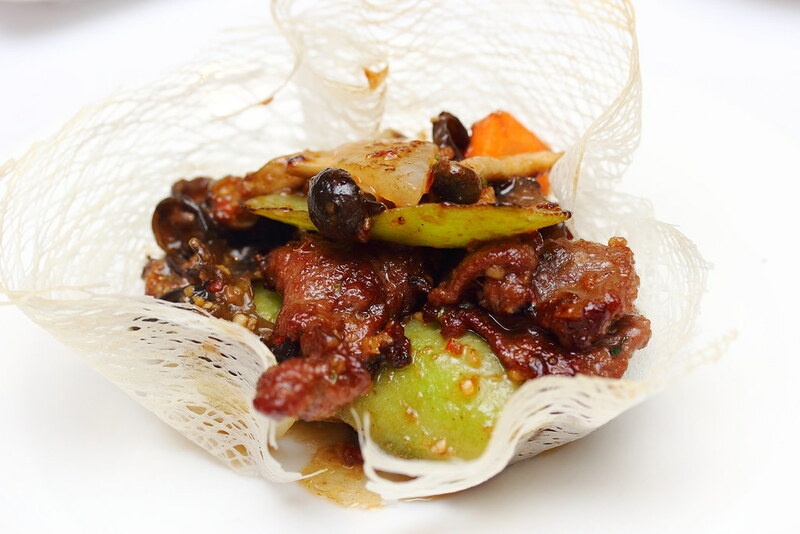 From the land, we are served Sliced Wok Fried Venison with Angel Luffa and Black Fungus in XO Sauce. Overall it was a good dish with the XO sauce lending a spicy kick to the the tender and juicy venison. Like every Chinese dinner, the second last course before dessert is either a noodle or rice dish. The menu definitely has saved the best for the last. 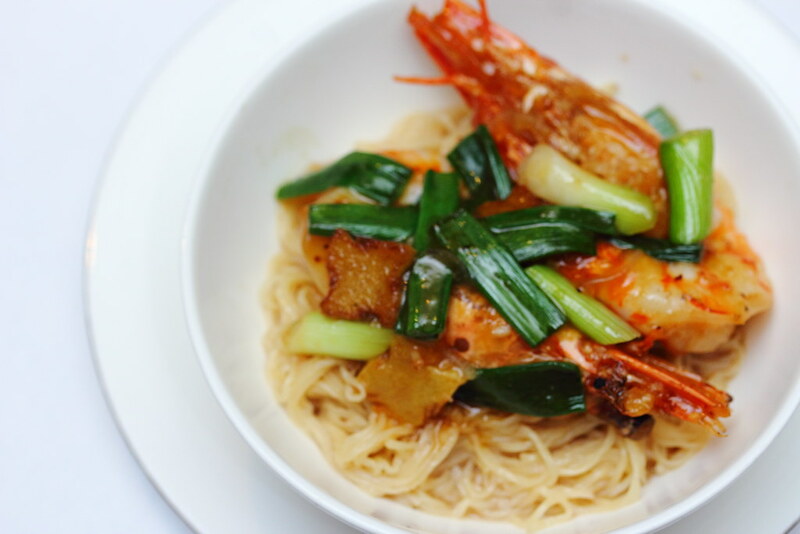 The Braised Noodles with Prawns, Ginger and Spring Onions is so delicious that I was screaming for more of the noodles which was well infused with the beautiful flavours. 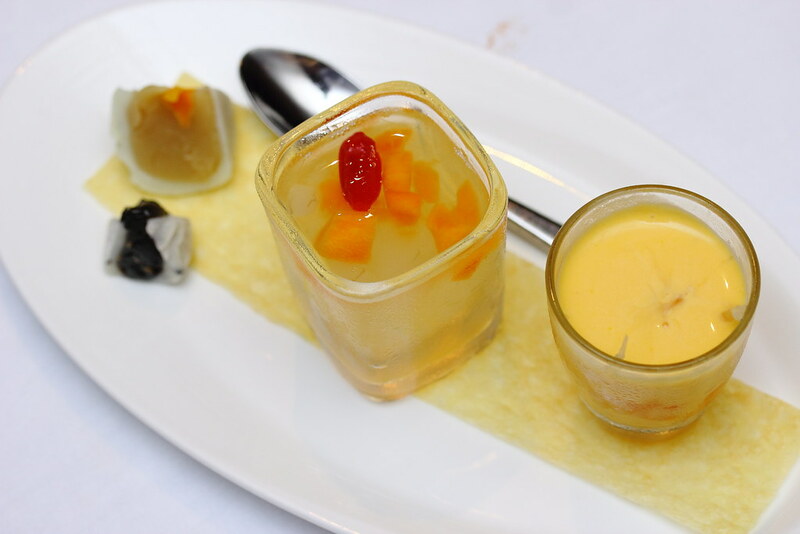 Ending the six-course dinner menu is a trio of desserts. Nothing fancy but a decent combination of desserts to draw the curtain to the dinner.